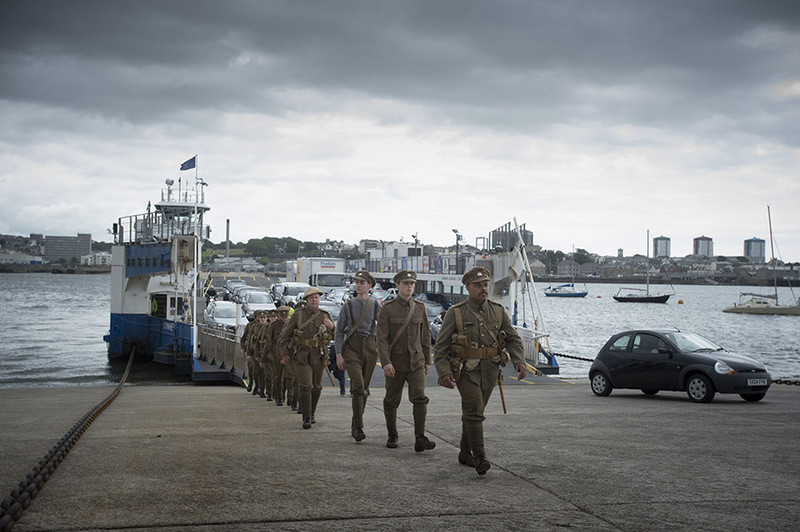 Nearly a hundred volunteers led by Theatre Royal Plymouth were part of a UK-wide event that took place on 1 July 2016 as a modern memorial to mark the centenary of the Battle of the Somme. 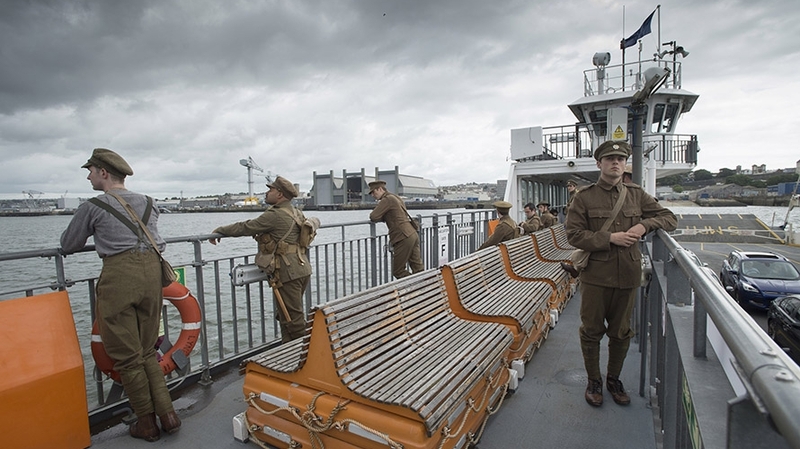 Commissioned by 14-18 NOW, the UK’s arts programme for the First World War centenary, the work was conceived and created by Turner Prize-winning artist Jeremy Deller in collaboration with Rufus Norris, Director of the National Theatre. 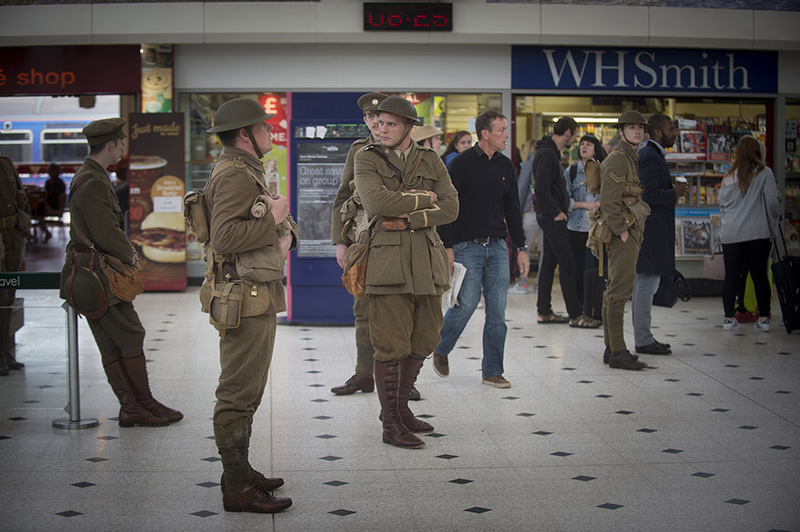 The specially commissioned event saw over 1400 voluntary participants dressed in First World War uniform appear unexpectedly in locations across the UK. 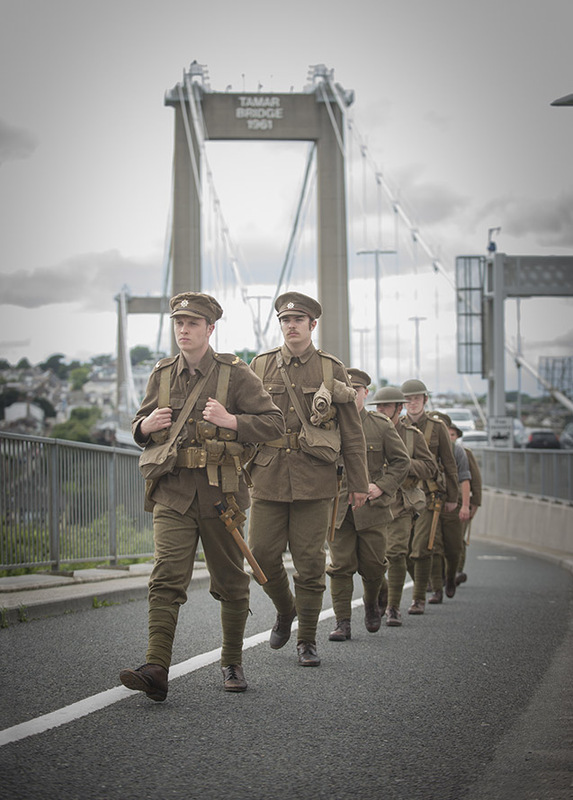 Theatre Royal Plymouth was one of 27 organisations which collaborated on the work, called ‘we’re here because we’re here’. 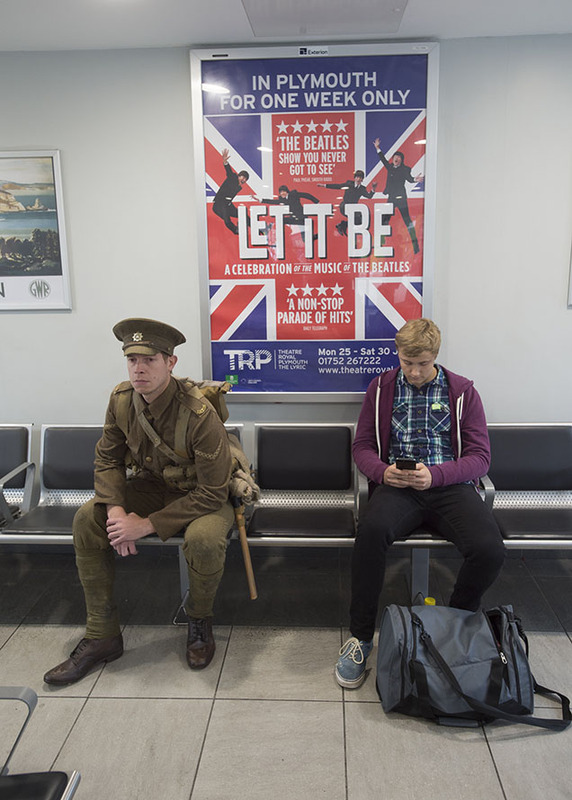 It was produced by Birmingham Repertory Theatre and the National Theatre, working in close collaboration with partners including: Lyric Theatre Belfast, Manchester Royal Exchange, National Theatre of Scotland, National Theatre Wales, Northern Stage, Playhouse Derry-Londonderry, Salisbury Playhouse and Sheffield Theatres. 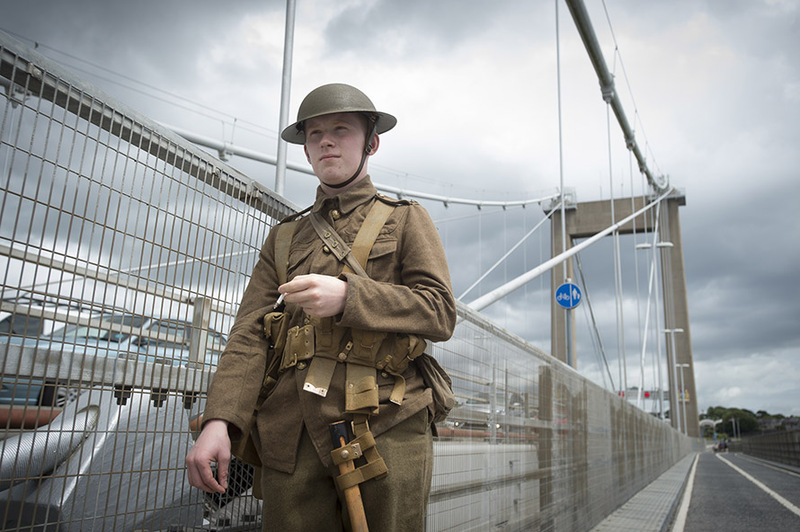 The participants who walked the streets today were a reminder of the 19,240 men who were killed on 1 July 1916, the first day of the Battle of the Somme. 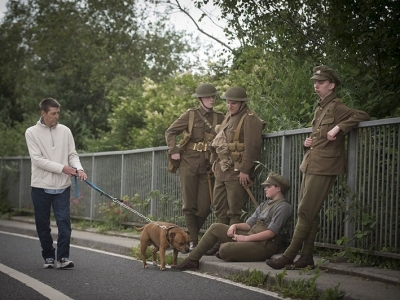 Each participant represented an individual soldier who was killed that day. The work is partly inspired by tales of sightings during and after the First World War by people who believed they had seen a dead loved one.